I am excited to introduce our second ever guest blogger, my friend Melissa of the blog Free From the Gluten that Binds. She and her family have gone completely gluten free in their diet. They recently visited us for a long weekend, and during their stay we went gluten free as well. 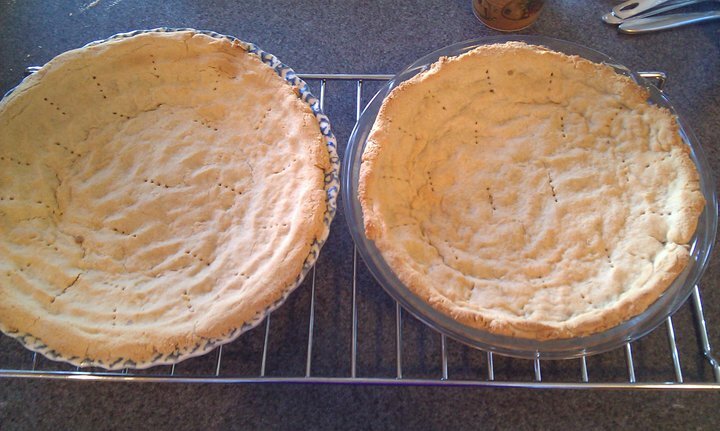 Just because you can't have gluten, doesn't mean you can't have pie-and very, very, VERY yummy pie at that! 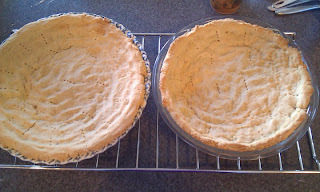 :-) We made this gluten free 'graham cracker' crust and it was amazing! 2. Place dry ingredients in the bowl of a food processor; pulse to combine. Add the butter; pulse until coarse. No large pieces of butter should remain. Add milk and honey. Pulse until a dough forms. 3. Form into 2 balls; one ball per pie pan. 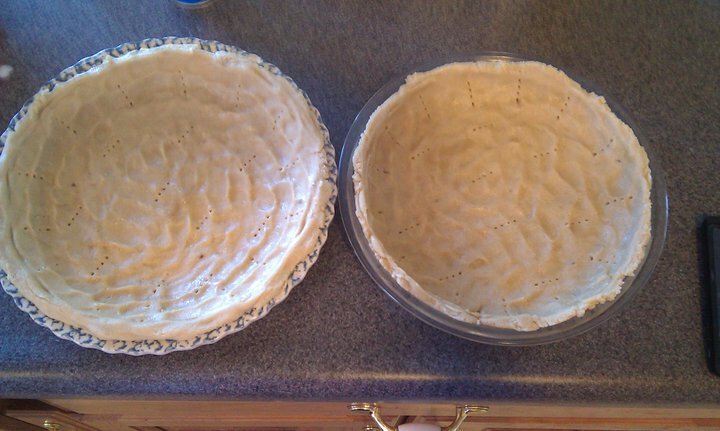 Using your fingers, spread each ball out evenly to cover the bottom and sides of each ungreased pie pan. Prick with fork several times. 4. Bake for 15 min.s, or until evenly browned. 5. Remove from pan and allow to cool on wire rack.